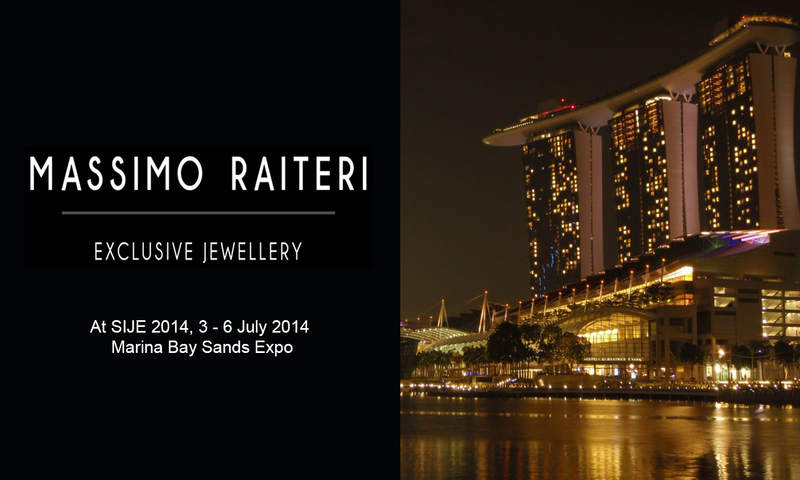 This year, for the first time on its history MASSIMO RAITERI is showcasing its jewellery collections at Singapore International Jewelry Expo. Located at Hall A & B at Marina Bay Sands, Stand H22, MASSIMO RAITERI’s stand incorporates a stunning selection of Italian luxury design and craftsmanship features that can be partially seen throughout its selected network of retailers. Each element has been carefully curated by MASSIMO RAITERI’s team in collaboration with GWORKS Pte. Ltd. and SIJE of Singapore.